Residence Palace (Europa) in Brussels was formerly a hotel that is being renovated to serve as the headquarters of the European Parliament. As the center of the European Union (EU) community, Residence Palace is where dignitaries meet to collaborate and work on challenges and opportunities impacting EU countries. The significant renovations to the facility include a redesign of the old building, as well as a facility expansion to add offices, meeting rooms and washrooms, all of which must uphold the historical architecture of the space. 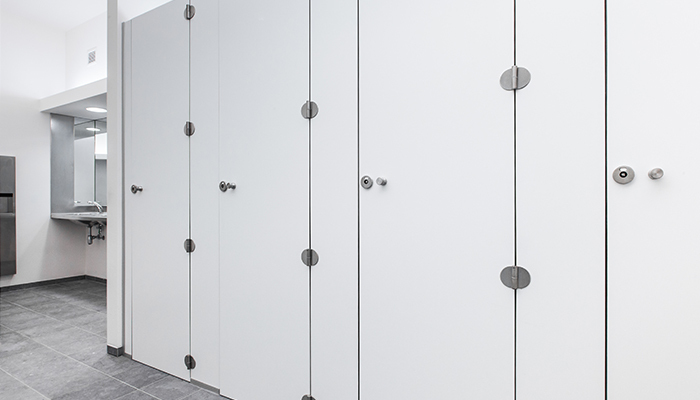 To preserve the sophistication of the facility, Alpaco created elegant washroom cubicles designed without pedestals rather than walled-off as individual restrooms. With so many visitors to Residence Palace, the goal was to make the cubicles as appealing as they are functional and easy to clean. To meet these needs, Alpaco installed 350 custom cubicles that create the illusion of an individual environment with guaranteed privacy. Unique to this project, the lighting within each cubicle is behind the cross bracing that provides structural integrity to the cubicle. 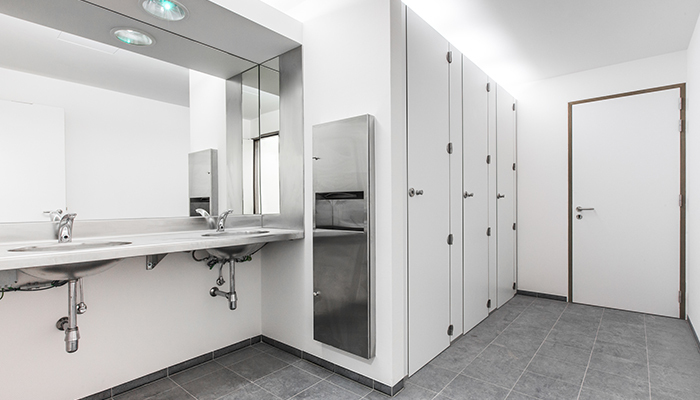 Additionally, the cubicles feature a duct paneling system that hides the plumbing in each individual stall. American Specialties, Inc. provided the stainless steel accessories, including toilet tissue and paper towel dispensers. 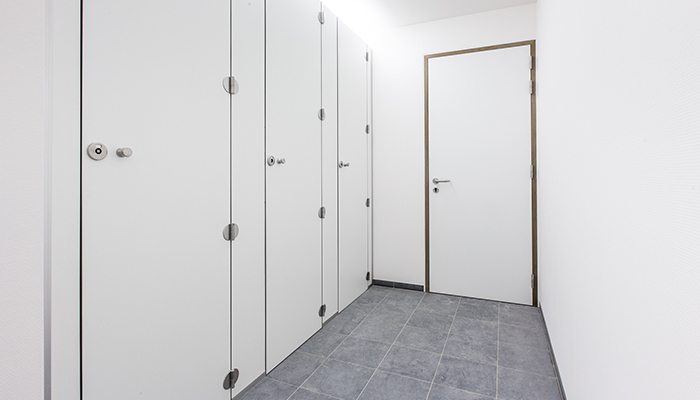 The new washrooms showcase elegance, privacy and functionality without compromise. 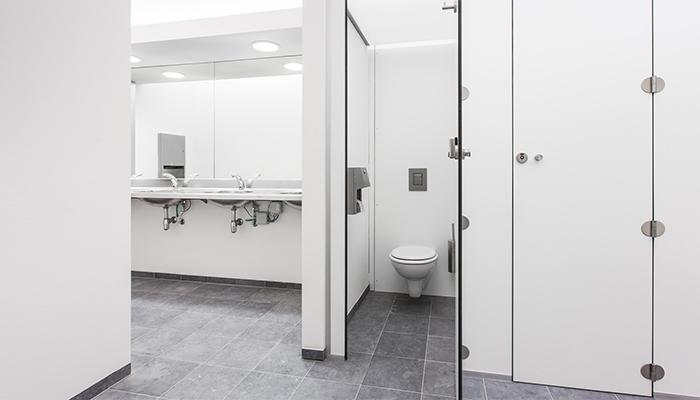 By partitioning an open space, Alpaco provided a cost-effective solution with the opportunity to expand upon the washrooms in the future.